Princesses Disney Rapunzel and Belle had a great summer vacation and are preparing for college. Stayed all one day and study will begin. What to spend it on if the weather is great outside and the sun gently shines and pleasantly warms the skin? Our favorite princesses decided not to waste time and ride a bike in the nearest kingdom. 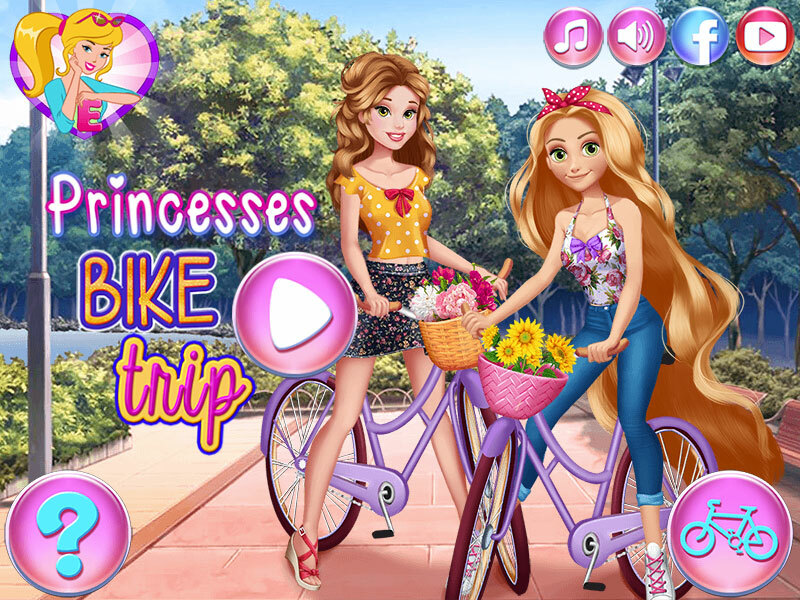 In this dress up game "Princess Disney on bicycles", you can relax in the company of beautiful and lovely girls who are going to actively relax on the last day of the holidays. Start playing and choose outfits for each of the princesses in turn. In addition, you can pick up girls beautiful hairstyles, blouses, pants or shorts. At the end of the game, you can save a photo of the princesses and they will be dressed in the outfits that you offered them. It will be a pleasant and fun day. Is not it? Played: 2628. Added: 20-11-2018, 02:01.